Travelers should track the fares even after they buy the tickets to see if prices drop. The next time you fly, you may be able to get some of your money back. Many travelers don't realize it, but most airlines offer refunds if your ticket price changes between the time you buy it and the day you fly. "People are doing this," said Rick Seaney, of FareCompare.com. "They're getting vouchers from these airlines." It's a trick many travelers have never heard of, and it's something most airlines don't advertise. "The airlines certainly don't want you to make a lot of claims for this kind of stuff," Seaney said. Seaney said four airlines -- United, Southwest, Jet Blue and Alaska -- will send travelers the difference if the price of their tickets goes down. The money is refunded in travel vouchers that are good for one year. But travelers may not get a refund for the full amount. Some carriers, such as American Airlines, charges a "change fee" to give customers the new lower price. American's change fee is $150, so the ticket price has to drop more than that to get money back. Delta, Continental and US Airways also charge change fees to give travelers the lower price. Southwest offers cash refunds in some cases -- and no change fees. "Well, we don't want to penalize customers for booking early," said Chris Mainz, a Southwest spokesman. "That's why we have some flexibility built into our fare rules." The hard part is keeping track of prices, Seaney said. "The real issue is, how do I know if the price went down on my flight?" he said. 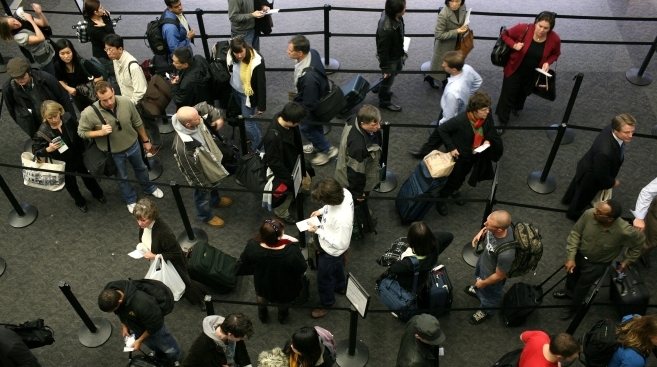 "The key to that is to sign up for airfare alerts." Travelers should track the fares even after they buy the tickets. Some airlines also have a same-day price guarantee, where they will give customers an instant credit or bonus if the price drops on the day they bought the ticket.